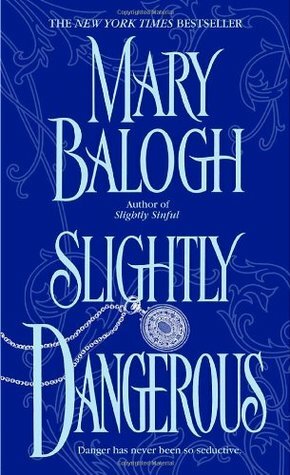 This week I pulled out a book from my “to-be-read” pile to share with you all – Mary Balogh‘s Slightly Dangerous. All of London is abuzz over the imminent arrival of Wulfric Bedwyn, the reclusive, cold-as-ice Duke of Bewcastle, at the most glittering social event of the season. Some whisper of a tragic love affair. Others say he is so aloof and passionless that not even the greatest beauty could capture his attention. But on this dazzling afternoon, one woman did catch the duke’s eye—and she was the only female in the room who wasn’t even trying. Christine Derrick is intrigued by the handsome duke…all the more so when he invites her to become his mistress. What red-blooded woman wouldn’t enjoy a tumble in the bedsheets with a consummate lover—with no strings and no questions asked. An infuriating lady with very definite views on men, morals, and marriage, Christine confounds Wulfric at every turn. Yet even as the lone wolf of the Bedwyn clan vows to seduce her any way he can, something strange and wonderful is happening. Now for a man who thought he’d never lose his heart, nothing less than love will do. With her trademark wit, riveting storytelling, and sizzling sexual sparks, Mary Balogh once again brings together two polar opposites: an irresistible, high-and-mighty aristocrat and the impulsive, pleasure-loving woman who shows him what true passion is all about. A man and a woman so wrong for each other, it can result only in the perfect match. 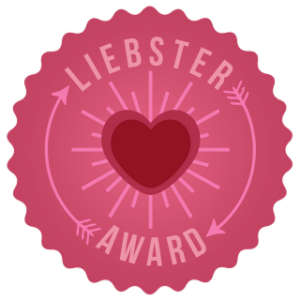 Who are some TBR authors you never get to? This entry was posted on November 27, 2014 by Rika Ashton. It was filed under Throwback Thursday and was tagged with christine, historical romance, mary balogh, regency, slightly dangerous, throwback thursday, wulfric. Great choice that you have here!! I loved this book, but I really need to read her other books. I need to get started on this book soon. Everything from the blurb to the reviews sounds good…I just don’t know why I haven’t started yet. Haha…your just as bad as me. I slways end up addin adding books to the ever growing TBR pile…only they just get buried under tge new books that get added on top. I haven’t read too many books by this author, but the ones that I’ve read, I’ve really enjoyed! Yes!!!! This is my favorite Balogh book by far and she is one of my favorite authors. I hope you get to this soon because it is amazing. I love Slightly Dangerous! The five stories about his siblings gives the reader an insight into the person Wolfric is and I couldn’t wait to get to his story. It was worth the wait. It made me laugh, cry and be joyous for him. I think you would really like this. Especially if you have read the ones before it.